Fellow defenders of the light. This is the hour on witch we will need your aid the most. All able warrior, cunning archers and Healers should report to the lady Tilliana. A great battle awaits us and we must prepare ourselves if we are to survive this. As soon as we have decent numbers i shall provide you with the location and hour of our meeting. May the Valar guide us trough these dark times. 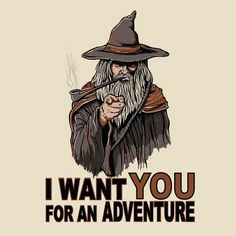 Please leave a reply on this post if you are willing to join after a while i will listen to each of your time proposals and work out the ideal scedual for you all to be able to partcicipate. Life is not what can you get, it's what can you give. that makes 5 including me .. shall we wait a little longer ? I would like to try to be there even though I don't know how to rp fight. Besides I think Eir is more of the "supervisor" when it comes to fighting. Depends on the class and work schedule for me.